Eaton Quicklag® Type QBGFEP 2-Pole ground fault equipment breaker with thermal-magnetic trip unit, is rated at 15-Amps and 120/240-Volt AC. Interrupt rating of this equipment breaker is 10-Kilo-Amps. Ground fault equipment breaker with extended tang line terminal connection, is bolt-on mountable for easy installations. It measures 5.7-Inch x 4.5-Inch x 3-Inch. 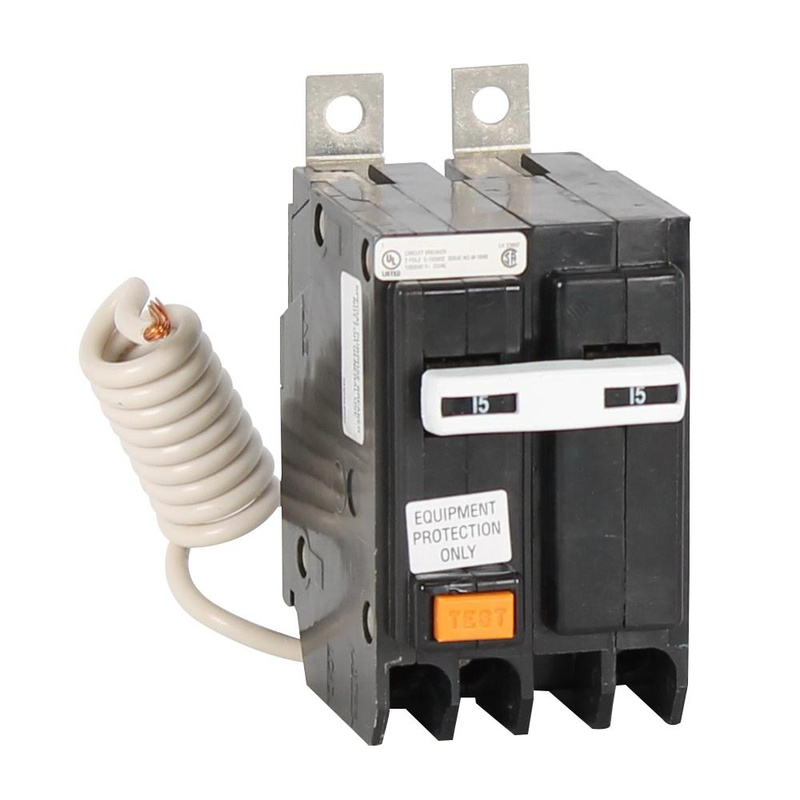 This 1-Phase ground fault equipment breaker accepts 14 - 4-AWG copper/aluminum conductors. Equipment breaker is UL listed and CSA certified.